Not only can students create content, they can now create content the way they envision it. Students who enroll as game and interactive media design majors will be working with softwares used in the inustry such as Unity and Unreal. 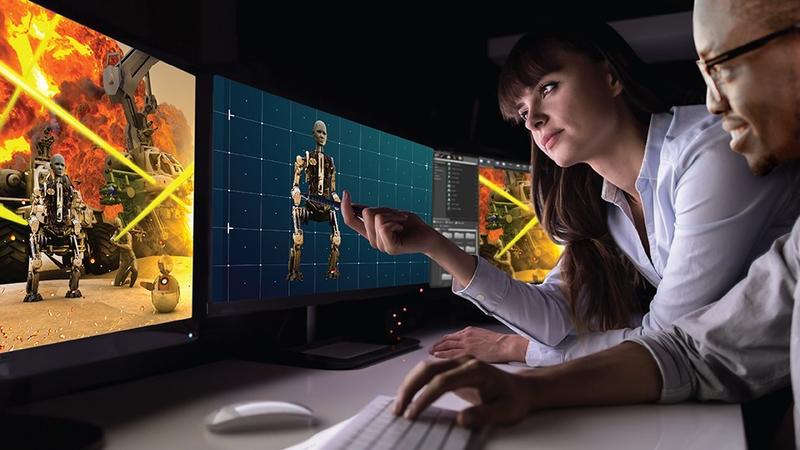 In fall 2019, Rider will launch a Bachelor of Arts in game and interactive media design in the school of fine and performing arts. With the gaming industry growing at such a rapid rate, there could be potential high-paying jobs for students after they complete the program. According to statista.com, the industry is expanding at $7 billion per year. In 2019 alone, the market is worth over $123 billion worldwide. With such a high revenue every year, job openings are likely to fill quickly. As of Feb. 11, there are over 30 applicants interested in the major. Back in November, The Rider News spoke to the Dean of the College of Liberal Arts and Sciences Jonathan Millen about how fast Rider is improving its school of fine and performing arts. According to Millen, the major came about after the college of liberal arts and sciences took into account what students were currently interested in. “We’re always trying to assess what students want to study and what fits best within Rider,” Said Milen. Donna Jean Fredeen, provost and vice president for academic affairs, was the one who originally brought the degree to the deans of Rider. Marshall Onofrio, dean of Westminster College of Arts, jumped at the opportunity and said the school of fine and performing arts would be a perfect place for the degree. Students are excited to see what this major will bring forth. “I think Rider is fully equipped to bring this on in the fall and have it thrive as one of the top majors,” said Zayicek.